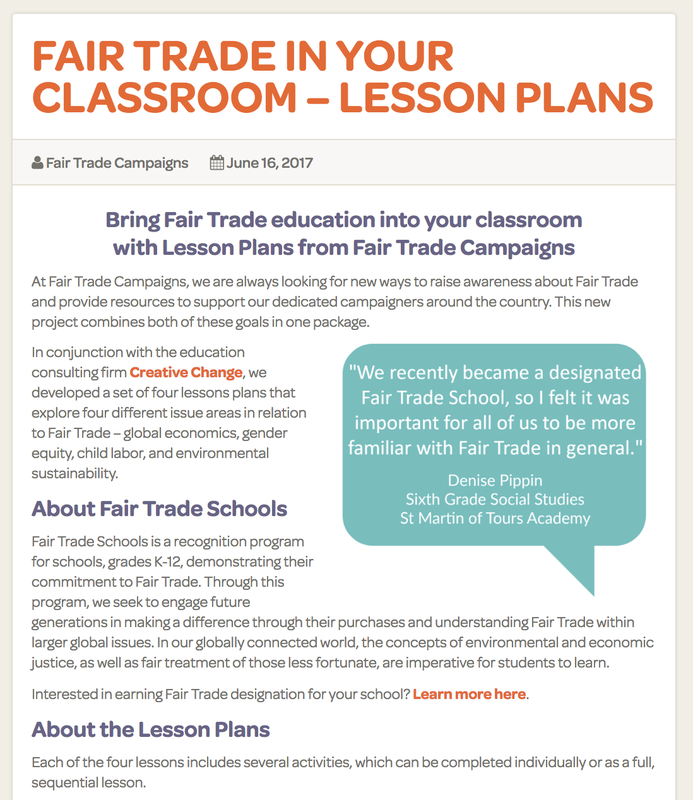 Fair Trade Campaigns has developed a series of lesson plans to help educators bring Fair Trade into their middle and high school classrooms. The lessons come with an accompanying Educator’s Guide which includes background information for teachers and guidance on effective instructional strategies. These are differentiated lesson plans for grades 6-12, which are aligned with common core standards in English and Language Arts and applicable for a variety of subject areas. Teachers have used the lessons in subjects including English, Social Studies, Biology, Environmental Science, and Business. Learn more and download the lessons here.